135 p., 3 ill., 15,3 x 20,9 cm. 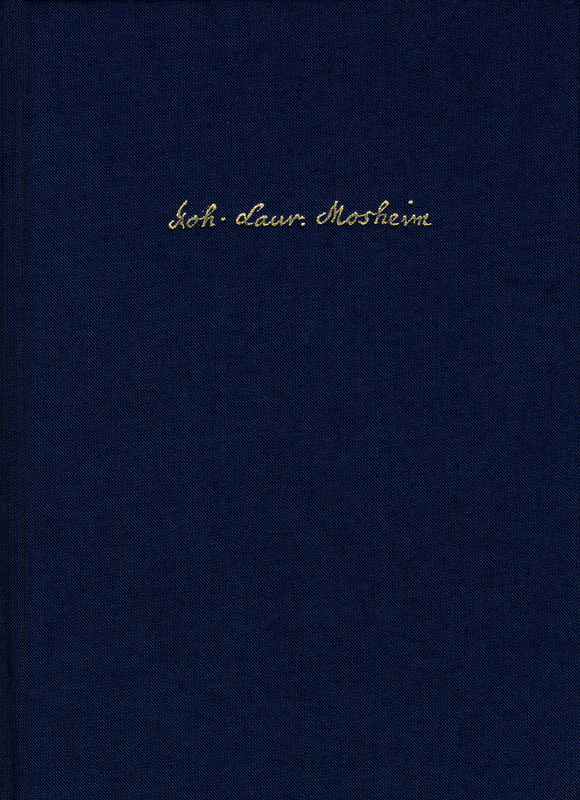 Includes annotations, afterword and a contribution on Mosheim's sermons by Johann Anselm Steiger. This volume contains the first edition of a devotional work by the famous church historian and theologian J. L. von Mosheim (1694–1755), which deals meditatively with the immortality of the soul and the eschatological promise of the resurrection of the flesh. The work illustrates how intensively Mosheim grappled with the philosophy of the early Enlightenment, for example deism, and tried to reach a decidedly historical understanding of the biblical texts and of the ancient doctrine of the soul. At the same time however he was firmly rooted in Lutheran orthodoxy. This edition attempts to provide the groundwork for a more differentiated picture of Mosheim which acknowledges his achievements as a theologian in his own right between the conflicting priorities of tradition and Enlightenment. Eine vorbildliche und höchst anerkennenswerte Leistung. Cette petite perle de la littérature protestante est enchâssée dans un long commentaire très documenté et soigné.